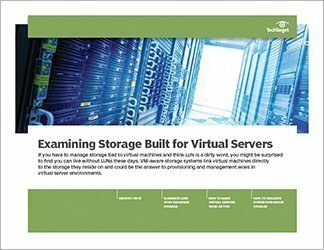 As with any product still in its infancy, an exact definition for virtual machine-aware storage can be difficult to nail down. 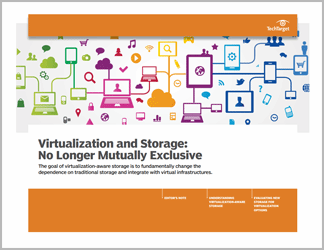 In simple terms, VM-aware storage is an appliance that vendors build specifically with virtual machines in mind in order to cut back on some of the most pertinent issues in virtual environments: complexity, difficult management and lagging performance. 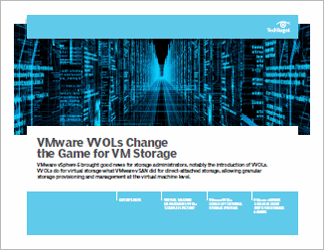 Using VM-aware storage typically means there's no need to configure logical unit numbers and volumes, and because VMs are directly associated with the storage they reside on, priority can be given to more demanding apps and VMs can be granularly managed. 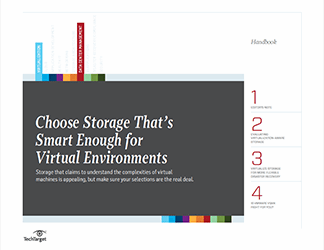 This guide will walk you through what products classify as VM-aware storage, how they are implemented in virtual environments and what benefits they can bring to storage and virtualization administrators so you can make an informed decision about whether they're the right choice.